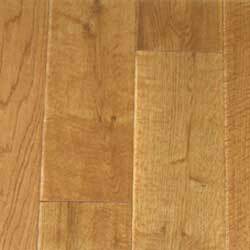 Highland is made with a manufacturing process that mimics the carpenter effect of scraping hardwood with a gouge, leaving your floor with a beautiful handscraped look. 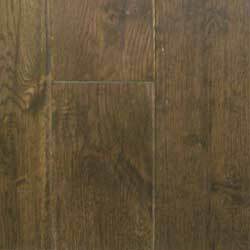 Highland is a solid handscraped oak hardwood flooring that comes in four rich colors that are sure to look great in any room. Bring your room to life with Highland handscraped hardwood flooring and enjoy its luster for years knowing that it is backed by a 25-year warranty. 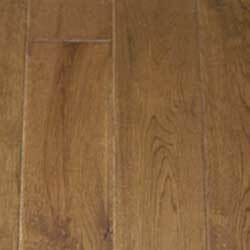 This oak handscraped flooring contains a 7-layer UV cured diamonized finish to resist stains and wear that come with an active home. Highland comes in fixed random lengths to allow for a custom look and easy installation. 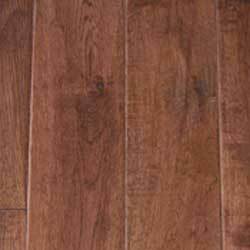 To make this beautiful handscraped floor available to you at affordable prices, we buy it by the truckload to offer you a cheap discount hardwood price.